Sculptured elements resonate on the Byton table lamp from RV Astley. 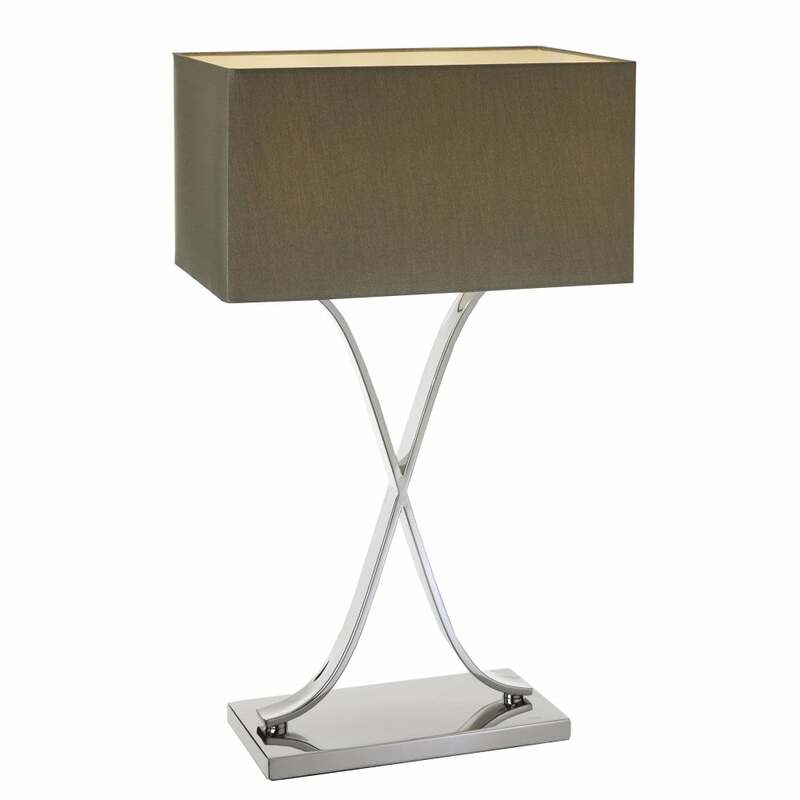 Its tall, polished steel ‘x frame’ is inspired by luxury lighting found in hotels. The chic, minimalistic structure suspends a wide, rectangular box shade in neutral greige colour. Channel the sculptured illumination in your interior, the Byton table lamp is ideally suited to a living room on a stylish console table. Combine as a pair on bedside cabinets within the bedroom.